We are living in grim times, ladies and gentlemen, grim times indeed. Our freedom as Americans is being threatened, and as usual, it is up to me, Jack Gelbe, to mobilize a force to fix this mess. 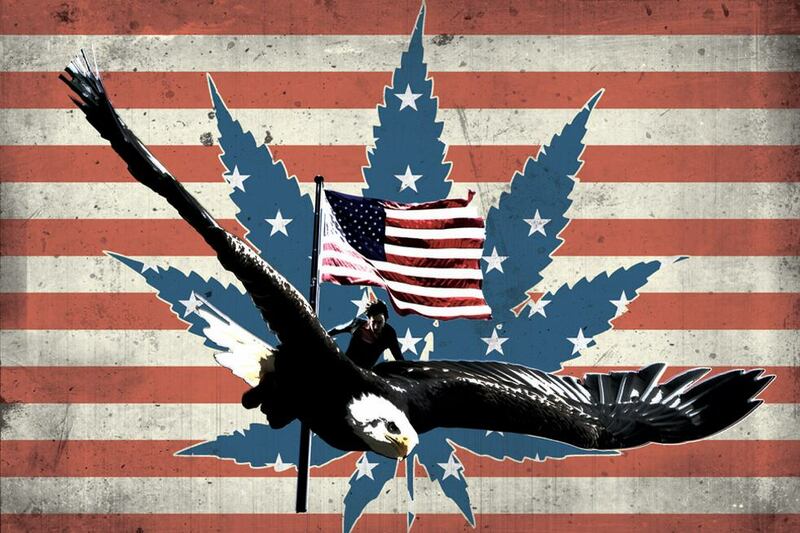 The legalization of marijuana is an insult to this great country, and the thought that this plague may spread to our beautiful campus appalls me. It’s incredibly simple: SAY NO TO DRUGS. Then again, if you’re talking to drugs, you’re probably on drugs. Marijuana is literally the worst thing to happen to America since the socialist revolution, a.k.a ObamaCare. Some people trivialize the issue, saying that pot is less harmful than alcohol or tobacco, but then again, I’m not the president. Marijuana is just as harmful as any drug out there, including cocaine, heroin and rubber cement. Just one puff can ruin your life. One in 10 Gucci Manes have been imprisoned for pot possession marijuana. Do you know why the Beatles made that song, “Lucy in the Sky?” She was avoiding the pot users on earth. Please, somebody think about the kids! First legalizing marijuana, then what? Letting our poor children stomp their cleats on each other’s faces? Teaching them to communicate through terrorist fist jabs instead of all-American high fives? I didn’t think so. That’s not the America that I want to live in. The truth is that marijuana can devastate your perception of the world. I was once out with my friends at Moe’s when, suddenly, I felt the edges of my vision darkening. I couldn’t breathe, and I felt my legs give as I tumbled off my chair. I blacked out. It felt like I was an extra in Saving Private Ryan. Two hours later, I woke up at the hospital. Apparently, I just choked on a big piece of a burrito, but I imagine that’s what drugs feel like. If you really want to get down to the dirty details, let’s acknowledge the elephant in the room. Anyone who supports the use of marijuana is in line with the devil. This vile drug is incompatible with our Christian values. Taking a quote directly from different sections of the Bible, it is clear that “[Pot]…[is]…[bad]” (Exodus 27:3, Genesis 2:4, Leviticus 27:33). Some students, however, do deserve to be commended for their virtue and sense of honor. Earlier today, in response to one of my particularly rousing anti-pot speeches, an inspired student gave me the most heavenly homemade brownies that inspired this diatribe. What a classy move by the Joplin family. Nevertheless, America faces its greatest challenge since the repeal of Prohibition, and this time, we cannot falter. It is up to us, as students, to prevent Turnt Up Tuesdays from becoming Blazed Up Always.